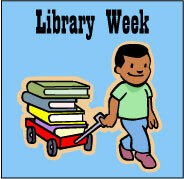 and for our ongoing Library Week. The story of Luis Soriano Bohórquez and his quest to bring books to inaccessible areas of Columbia via burros is inspiring. We are featuring two picture books that share his story with children: Waiting for the Biblioburro by Monica Brown and illustrated by John Parra, and Biblioburro: A True Story from Colombia by Jeanette Winter. Waiting for the Biblioburro is told through the point of view of Ana, a child who loves to read books. Ana has read her few books many times, so she is excited when the librarian who carries his library on the backs of donkeys visits her. She has new books to read! Brown uses a touch of magical realism and a sprinkling of Spanish words to give the story a sense of place. There is a glossary of the Spanish vocabulary in the back matter. Monica Brown has a curriculum guide to accompany her book (see left sidebar at website). Told from Luiz’s point of view, Biblioburro: A True Story from Colombia reveals the details of how Luiz conceived of his idea for the traveling library and some of the challenges he faces. It is filled with bright, colorful illustrations. PBS has a film about Luiz and his Biblioburro, plus a plethora of background information for educators. It was interesting to read some of the criticisms of these two books when preparing for this post. Some people criticized Monica Brown’s book for not exposing the truth about the hardships Luiz faces in Columbia (for example, here). In fact, Brown does not identify Luiz by name in the text. In contrast, Winter’s version specifically mentions that Luiz has been threatened by a robber, which some parents have thought was too disturbing for their children to read. What do you think? Should children’s picture books reflect harsh political realities or should the back stories be left to the individual parents or educators to supply? Latino/a Kid Lit Challenge: What Can You Do With a Rebozo? This turned out to be a bit more challenging than I thought is would be. My local public library usually has an excellent selection of books. I was very surprised when I did a keyword search for Latino/Latina and found very few titles. Fortunately, Latin@s in Kid Lit has pages of resources at the website, organized nicely by age in the navigation bar at the top of the page. Once I found specific titles to search for, I found my library did carry most of them after all. Today I went with an older book, published in 2008. It has been pretty cold lately in many parts of North America, so that made me think of What Can You Do With a Rebozo? by Carmen Tafolla and illustrated by Amy Cordova. The reader may have seen a woman wearing a rebozo and not known its name or cultural significance. A rebozo is a piece of woven fabric that is worn in Mexico. 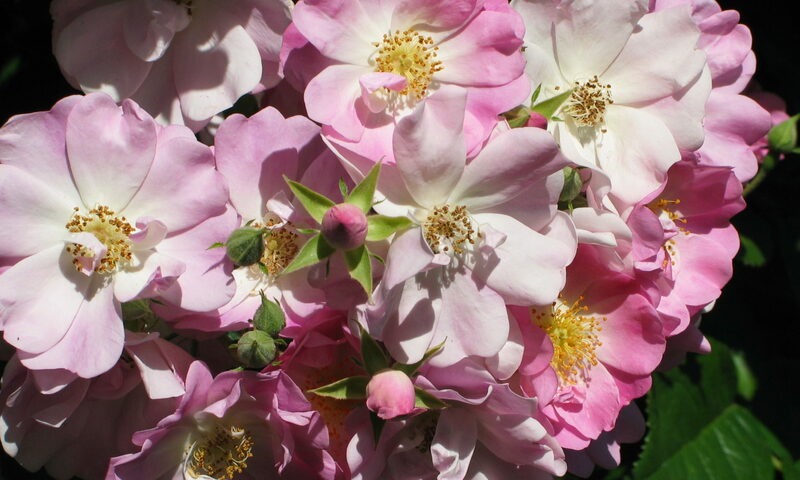 It is like a cross between a shawl and a scarf, and would be perfect for wrapping up in on a cold day. In the story, a young girl finds many uses for a rebozo. She tries playful and imaginative applications like using a rebozo as a blindfold at a birthday party or as a pirate’s sash during a dress up game. She also discovers practical uses for the rebozo like covering up at night or carrying a baby. At the end of the book, the author challenges readers to come up with some uses for a rebozo of their own. Besides being a fun and educational book, it also has some serious credentials. Author Carmen Tafolla, a professor at the University of Texas–San Antonio, was San Antonio’s first poet laureate. The book was an Américas Award Commended Title 2009, as well as a Pura Belpré Award Honor Book for illustration in 2009 (Note: both these award sites would be good places to look for books for the Latin@s challenge). What Can You Do With a Rebozo? is a lovely introduction to a unique piece of Mexican culture. It would be a wonderful selection for the ALA’s El día de los niños/El día de los libros celebration on April 30, 2014 or any opportunity to learn about world cultures. Show children actual rebozos, or shawls or scarves if you don’t have access to authentic ones. Allow the children to free play with them and see what happens. Behind the scenes here at Wrapped in Foil we have lined up some exciting opportunities to share multicultural books this year. 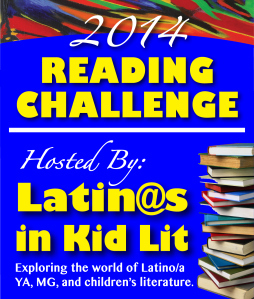 To kick the year off with a bang, let’s start with the 2014 Latin@s in Kid Lit Reading Challenge. The challenge is pretty straightforward: read one book a month that is written by a Latin@ author and/or includes Latin@ characters, settings, themes, etc. from January 1, 2014-December 31, 2014. How to participate: post somewhere that you are joining the 2014 Latin@s in Kid Lit Reading Challenge and then sign up in the comments of the Reading Challenge announcement including a direct link to your post. They also request that you copy and paste their reading challenge logo onto your site. Go to the announcement page for other suggestions how to participate and great suggestions for books and resources. Can’t wait to add to the list. Are you participating? If you’d like, let us know!